Mighty giants stir across the land and, before their crushing might, nothing is safe. 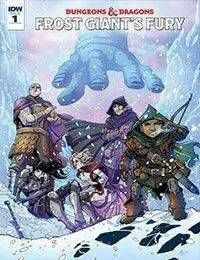 Badly injured after their encounters in the Demiplane of Dread and now lost in the frozen northern reaches of the Forgotten Realms, the Baldurs Gate heroes will be tested like never before. Roll for initiative, a new Dungeons &amp; Dragons adventure begins!